In high rise work. A temporary platform, usually cantilevered out from an upper floor, to enable a crane to land and remove material to the floor. 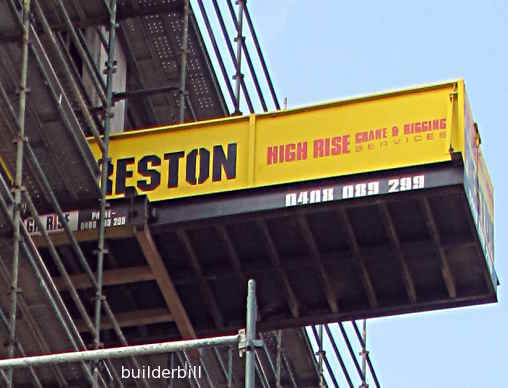 This platform is supplied by the crane hire company and is part of the package deal for crane work and rigging services. It is independent of the scaffold and it's inboard end is securely braced between the two concrete floors.